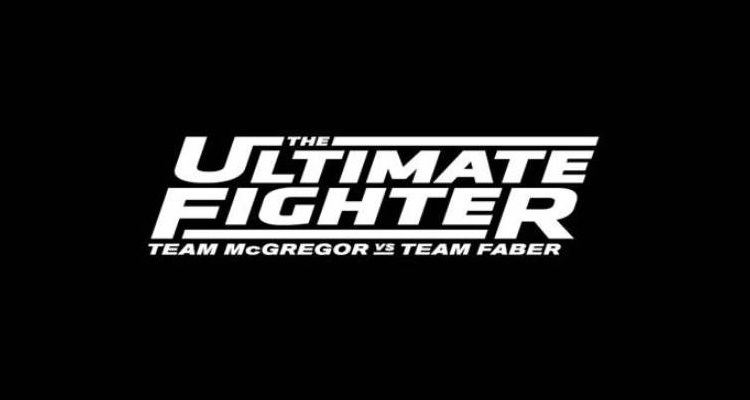 The Ultimate Fighter series rolls on with its 22nd season, and this season is set for fireworks. Benefiting from a strong cast, charismatic coaches and a USA vs. Europe format, the show looks to be a must-see season. And, based on the preliminary fights to get into the house, you can expect this season to provide electricity and excitement. The fights to get into the house aired on the debut episode last week and the teams are now set. All we need is the first match-up and we will be underway. Here’s a preview of each fighter from this season’s cast and a breakdown of their skills and potential to become the next Ultimate Fighter. Julian Erosa (14-2, Yakima MMA, Washington): One of the more experienced fighters on Team USA, Erosa proved he has the tools to make a serious run on the show. He will be a tough matchup for most people just based on his size and length. He has long legs and arms, which will allow him to keep distance on opponents. He is a resourceful fighter with great takedown defense, as shown in his elimination-round victory over Jason Soares. He doesn’t necessarily have one standout skill, but he is very well rounded. His best skill is his submission offense. He has some good chokes and is very active in looking for submissions. If Team USA is smart, it will put him in there against a shorter, less rangy fighter so Erosa can pick him apart. Tom Gallicchio (19-8, Team Quest, New Jersey): A former Maximum Fighting Championship champion, Gallicchio has the most experience of anyone on his team. Most of that experience is at a high level, as he has fought for promotions like the aforementioned MFC and Russia’s M-1 promotion. He is a wrestler first and foremost, and he shoots for takedowns early and often. He is a smart mat technician who methodically wears opponents out. He often gets the back, like he did against elimination-round foe Mike Flach. He is proficient with the rear-naked choke, a finish he has used in many of his 13 submission victories. His skill set is suited for TUF, which is why he could be the man to beat. 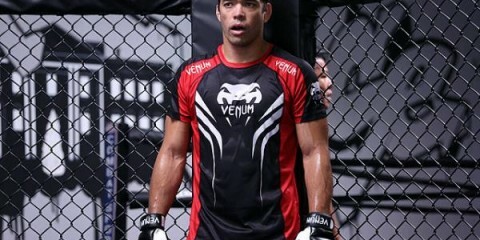 Jason Gonzalez (9-2, Millennia MMA, California): Gonzalez is a monstrous man for the weight class — that much is evident just from looking at him. That will bring into question his ability to cut weight without affecting his body too much. Gonzalez is a physical brute who will bully around fighters in the cage. In beating elimination-round opponent Tim Welch, he displayed an active ground game and an ability to get off his back when taken down. On the feet, he is a powerhouse who can end a fight in one strike. Most of his wins come by submission. He has an active guard and good positional grappling. He is a dark horse to make a run this season. Chris Gruetzemacher (12-1, The MMA Lab, Arizona): Potentially the top prospect on the show, Gruetzemacher is built to make a serious run. He is a grinder who methodically wears guys out and accumulates damage. He is very well rounded, but it appears that his clinch work and wrestling are his strengths. In the clinch, he uses killer elbows and solid knees, something which completely destroyed Austin Springer in the elimination round. He has great power too, which has led to many knockouts in his pro bouts. He is very aggressive, pushing forward constantly and cutting off the cage well. Anywhere the fight is contested, Gruetzemacher will be more than prepared. 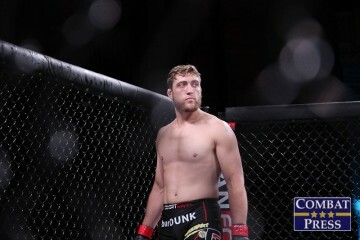 Ryan Hall (4-1, Tristar Gym, Virginia): When it comes to pure grappling and Brazilian Jiu-Jitsu, Hall is undoubtedly the most skilled competitor in the house. He is a high-level jiu-jitsu player with excellent leg locks, which he utilized in his elimination-round victory over Johnny Nunez. His striking is pretty limited, so he will have to rely on takedowns or jumping on a leg. He excels in the 50/50 position on the ground, which, again, was on display against Nunez. Hall could make a good run on the show based on submission grappling alone. James Jenkins (8-1, Serra-Longo Fight Team, New York): Another top prospect, Jenkins is a guy to look out for down the line. The young fighter has great trainers and is improving quickly. 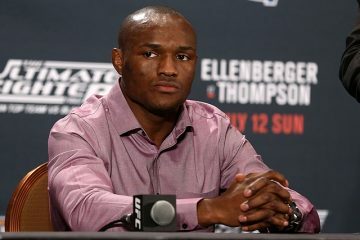 He is normally a featherweight, which means he will be smaller than most of the lightweight fighters in the TUF house. However, this could be advantageous, as he won’t need to cut as much weight as others. He showed good straight punches in defeating elimination-round foe Brennan Sevin. He has good wrestling and ground-and-pound, which we didn’t see as much of during his elimination-round fight. He showed an excellent chin against Sevin, but his striking defense is very suspect. He cannot take that type of damage and be as successful as he should be. However, all things considered, Jenkins will be a contender for this season’s crown. Thanh Le (4-1, Team Thanh Le, Louisiana): The surprise of the elimination round, Le probably put out the most exciting, devastating performance of the first episode. He is a striker, possessing a wide arsenal of kicks and powerful punches that land with great accuracy. He is aggressive and has good output, which allows him to accumulate damage on his opponent. This was seen in his elimination-round win over Andres Quintana. Le landed a high number of strikes and was eventually able to put Quintana away via knockout. There are questions about his ground game, but Le has a great chance of coming out victorious if he is engaged in a striking battle. Billy Quarantillo (6-1, Gracie Tampa, Florida): If there was a big takeaway from Billy Quarantillo’s elimination-round fight, it’s that he has the ability to overcome. He was being dominated early in his fight with Brandon Ricetti, but did an excellent job staying calm and defending multiple choke attempts. 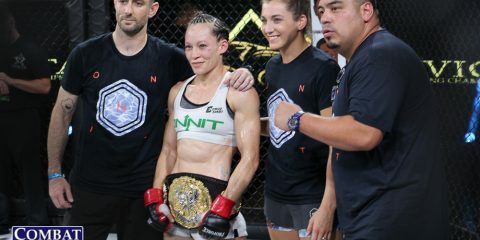 The difference between Quarantillo and Ricetti was that Ricetti didn’t use strikes to open up for the submission. Quarantillo did. Those strikes made the difference, which was why Quarantillo was able to finish Ricetti. His strength is definitely on the ground, where he is active and always looking to finish with submissions. There are a lot of skilled ground technicians on the show, though, so it could be tough to stand out this season. Mehdi Baghdad (11-3, Black House, France): Baghdad is a Resurrection Fighting Alliance champion who enters the show with a lot of hype. 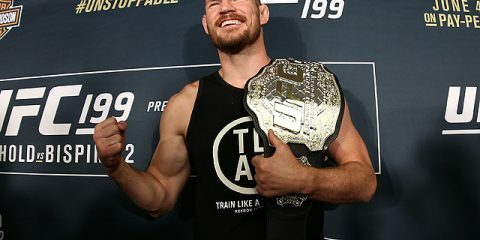 However, a sloppy elimination-round bout and a questionable gas tank in his fight with Artem Lobov left Baghdad with more questions than answers. There is no doubt that Baghdad is a monster with great size and good power. He strikes proficiently, but his defense looked suspect against Lobov. Regardless, he is still very dangerous and stands out as a contender on the show. He’s posted better performances than the one he turned in during the Lobov fight. He will be a guy that makes a splash on the show. Styles make fights, and he has a tough style to counter. Abner Lloveras (19-6-1, HM Fitness Centre, Spain): A freak injury to elimination-round opponent Vladimir Sikic ruined what was otherwise a good fight, but Lloveras still looked strong in his victory. He is definitely a striker, possessing strong punching power that works well with his aggression. His time spent training with UFC veteran Gabriel Gonzaga has tightened up his ground game, which makes him a tough all-around threat. He has a lot to prove, but his experience is going to be key here. Don’t sleep on Lloveras. He has the tools to make a run. Saul Rogers (10-1, Team Colosseum, England): Likely the top prospect for Team Europe, Rogers has more than proven he is ready for the big leagues. He is a talented takedown executioner, as well as a fantastic submission grappler. This was seen in his decimation of elimination-round foe Paulo Boer, whom he submitted with a rear-naked choke. His striking is decent, though it is mostly used to set up clinches and takedowns. Keep an eye on Rogers. He is definitely a prospect with big upside. Sascha Sharma (8-2, Kongs Gym, Germany): An Indian-German, Sharma is well traveled in the sport of MMA. He has fought everywhere from India to Germany to Switzerland, though the competition he has faced has yet to be high quality in nature for the most part. It was hard to gauge Sharma based on his elimination-round fight, as we only briefly saw clips, but he did show good takedowns and top control in ousting Sean Carter. Most of his wins come via submission, so it is striking that is likely the greatest hole in his game. Luckily, he will be working with Conor McGregor and the SBG Ireland team, which can definitely offer high-level services to him in that department. Frantz Slioa (4-0, Allstars Training Centre, Sweden): It hard to get a gauge on Slioa, who did not get a ton of time on the initial episode. However, he did get an elimination-round win over a tough Martin Delaney, so he definitely has skills. On the mat, he showed good poise in controlling Delaney and advancing position. He also looked very physically strong, which should aid him in achieving takedowns and choking opponents. He appears to have very strong chokes. He is definitely an underdog in this competition, but those are the type of guys that seem to thrive in this situation. Martin Svensson (14-5, Frontier MMA Academy, Sweden): Svensson is another guy who comes into this event with a good amount of pro fights under his belt. A grappler, Svensson is known for his solid positional grappling and good offensive submissions. However, he has faltered in his career when stepping up in competition. In his elimination-round contest against Mohamed Grabinski, he also showed he can be reversed on the ground. So, while he should have a leg up based on his activity, he does have a lot to prove. David Teymur (3-1, Allstars Training Centre, Sweden): When it comes to pure kickboxing, Teymur might have a step up on most guys in this competition. 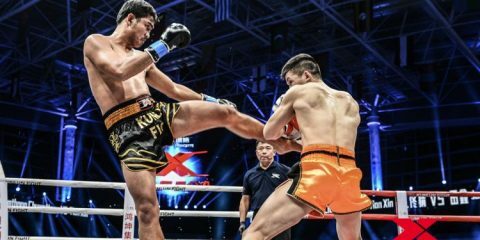 A fighter with K-1 experience, Teymur showed off some slick and violent kickboxing in an exciting elimination-round bout with Thibault Gouti. His kicks took a toll on Gouti’s legs and body, eventually slowing Gouti down as the fight wore on. Teymur’s aggression is also really important to his devastating game. He constantly moves forward, disregarding any damage that comes his way. He cuts off the cage well and consistently looks for the knockout blow. His ground game is a question mark, but make no mistake, this guy is dangerous when things are settled in an upright position. Marcin Wrzocek (10-2, Criminal13 Fighting Division, Poland): Up there as a top prospect for Team Europe, Wrzocek brings a very rounded skill set to the cage. Known as “The Polish Zombie,” Wrzocek has split time between Poland and the United Kingdom when honing his craft. He is strong on the takedown and has a ferocious top game. He grapples efficiently and has good offensive submissions, though his striking, both upright and on the mat, should not be disregarded. 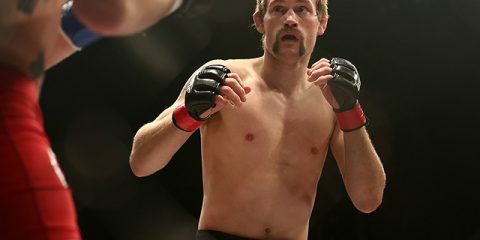 He also has the experience of fighting on big shows like Cage Warriors, where he has tussled with top European talent. He is definitely a fighter to keep an eye on. UFC 213’s Gerald Meerschaert: Eat. Sleep. Train.